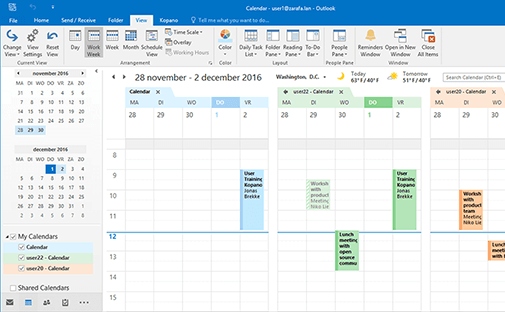 Not yet a final, but worth a special mention is the release candidate for the 2.0 version of the Kopano Outlook Extension. 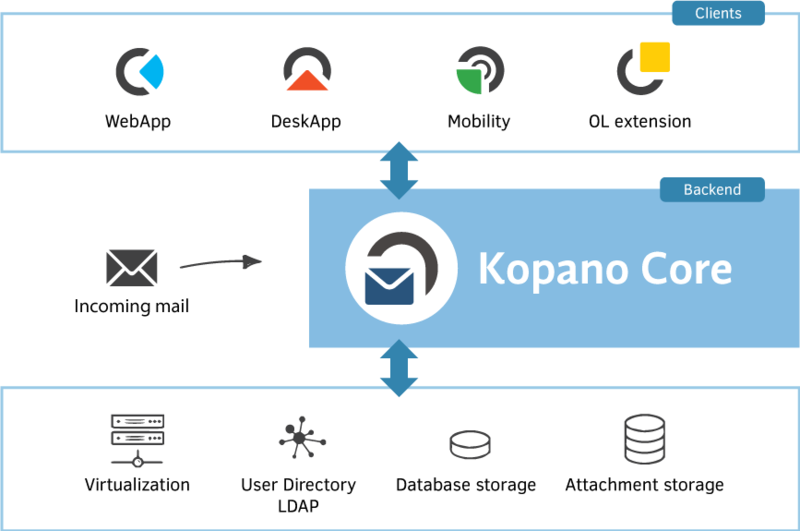 Based on experience and feedback of our customers we have made some changes to how the Kopano Outlook Extension behaves – especially related to features with high-performance impact such as opening shared folders or synchronising a large mailstore. Through the use of new Z-Push features, the KOE can now suggest a reduced offline synchronisation window for large mailboxes that are opened (shared ones, as well as your own). When the size of the mailbox you are trying to open gives reason to suspect potential performance issues, you will be offered to reduce to a smaller timeframe – less than ‘everything’ but more than ‘one month’. A maximum amount of shared folders will be introduced in KOE 2.0 – currently limited to 50. These individual shared folders/calendars get the same synchronisation window as your own store, which in many cases is both unwanted and the cause for many synchronisation issues with your own store. With KOE 2.0 you get the possibility to a shared mailbox as if it were a separate account – with its own synchronisation window and a separate local store. Of course, we recommend that you use our primary clients Kopano WebApp and/or DeskApp, but in the cases working offline is essential you should get an improved experience with KOE 2.0. 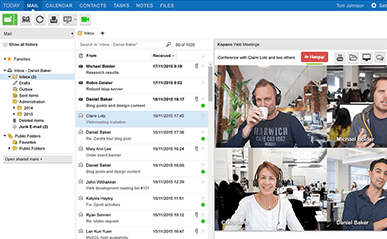 Kopano Groupware Core has seen two new releases in July. Automatic processing of meeting requests (such as updating ‘tracking information’, or putting an incoming meeting request as tentative in your calendar) were improved in both the traditional PHP based scripts as well as the new python based ones. For instance, any categories that were set by the user will now remain in place when an update comes in. Conversion to and from standards such as ical (for calendar items) and vcf (for contacts) has been improved. Kopano Backup now has better support for replicating moves and deletes when replaying a backup. This is especially helpful when performing a full restore or migrating a mailbox between servers. In July there were two new releases of WebApp. 3.4.17 added support for searching on the categories you have set across all items in WebApp in the advanced search tab. Furthermore, a new, easier way of theming has been added by creating a simple JSON file (and ok, maybe also upload an image or two). Your open reminders are now immediately visible in WebApp (check out the ‘bell icon’ next to Settings). The icon also serves as a button when there are reminders pending, giving a simple way to access your tasks and reminders. WebApp 3.4.18 has only been made available as a pre-final version due to issues reported by our customers and community, putting the new ‘detail screen’ for certain error messages immediately to good use. This helped us resolve an annoying issue that occasionally prevented users from sending a message to a distribution list. Finally, official packages for Ubuntu 18.04 and UCS 4.3 have been made available.